It has been a long time since I last watched the Green Bay Packers in a Super Bowl. So long in fact, that the last time it happened, most people still liked Brett Favre. Two teams and three retirements later, Favre is a distant memory. The Packers have a new ace in town: Aaron Rodgers. 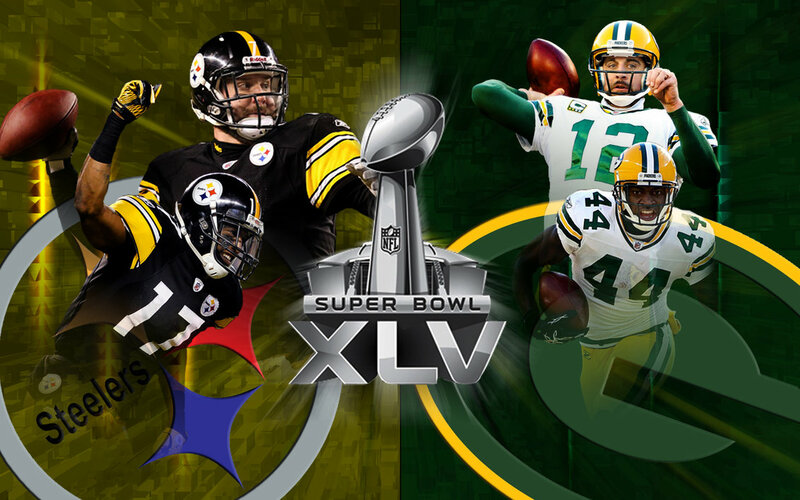 Super Bowl XLV will usher in a new era of Packers football. By this time tomorrow night, the janitor at the Packers Hall of Fame will be dusting off the pedestal for Lombardi trophy #4 (how ironic). The Packers have not trailed by more than 7 points in any game this entire season, including the Playoffs. The Packers lost their six games by a total of 20 points, not losing a single game by more than 4. Of those six losses, most came down to the final play. The Packers played one of the toughest schedules this year of any team in the NFL. The Packers went ON THE ROAD and beat the 1st, 2nd, and 3rd seeded teams in the NFC playoffs to advance to the Super Bowl. The Steelers probably didn't anticipate the Packers having a running game. The Steelers are most certainly sleeping on James Starks. And while James Starks is not the next Barry Sanders, he has shown a spark that no other Packer running back has this year. He could single handedly break this game wide open running the ball well which will lead to Aaron Rodgers picking apart the Steelers defense with the play action. Unlike last years match up with the Steelers, the Packers have Sam Shields this year, easily one of the top cover corners in the league. Big Ben will find it very difficult to throw against this years Packers because Sam Shields talent allows the Packers to blitz freely or drop extra men into coverage elsewhere. Big Ben is known for shrugging off would be tacklers and creating big plays outside the pocket. And the same thing was said about Michael Vick this year. The Packers played him and beat Vick twice this year, forcing him into being mainly a pocket passer and wrapping up their tackles on him every time. I anticipate the same thing when the Packers get to Big Ben. Oh and the Packers are missing 14 starter-caliber players to injuries and yet proved they had and still have amazing depth at every position other than running back (which may be changing, see my Starks comments above). Imagine this team next year. My actual prediction? The Packers win by double digits.